Have hearing loss or some difficulty hearing clearly? It's not just the elderly that experience the loss of hearing. We boomers spent a good deal of our youths blasting our auditory hair cells to bits with the Rolling Stones et als. Hearing aids are not cheap and may not even be suitable for everyone, having their own drawbacks, but there are plenty of gadgets available that can help hard-of-hearing folks in specific situations like watching TV, conversation, hearing signals in your home or car, or talking on the phone, and they're helpful even if you do use hearing aids. 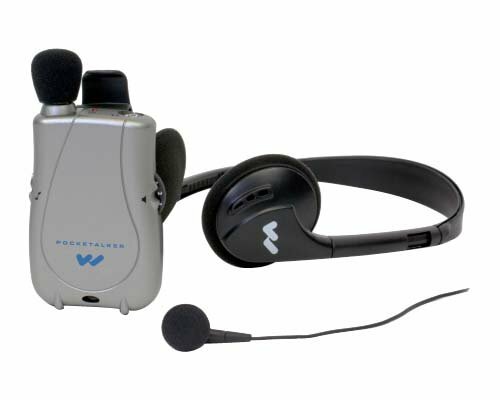 Whether they wear hearing aids or not, the Williams Sound Pocket Talker System is a favorite among customers. The microphone picks up relatively nearby sounds, including dining room talk and even TV sound, and enables amplification that's clear as well as louder. Great to carry in the car to amplify radio and help with environmental sounds such as beeping horns and sirens. Some use the Williams instead of a hearing aid. This model has a mic jack and an earphone jack, so you can interchange parts if you need to. The SuperEar claims to amplify sound up to 50 decibels which would help those with moderate hearing loss significantly and might even help those with severe hearing loss, especially if they also use hearing aids. 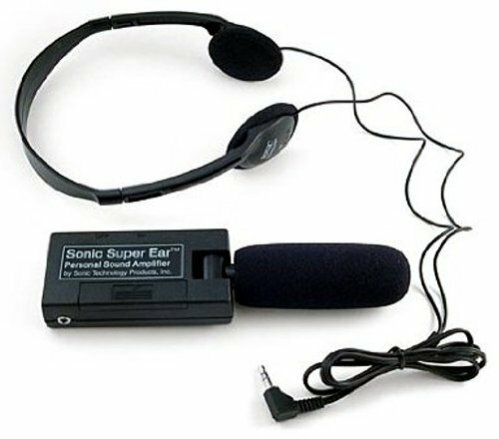 Less expensive than the Williams Sound Pocket Talker System, it is not as powerful, but an advantage of the SuperEar is that it has a separate microphone that you can place wherever you need it. For example, if you are in a busy restaurant with a colleague, you can place the microphone between the two of you and it will amplify the other person's voice, rather than all the ambient noise in the restaurant. This comes in handy whether or not you wear hearing aids. 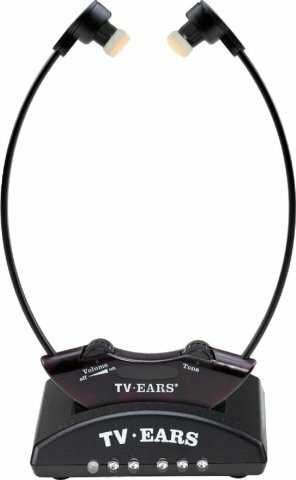 Probably the most popular personal amplification system for TV viewers, TV Ears are an affordable and effective system that enable dual control of the sound. You can turn the sound all the way up on the TV Ears and keep the TV volume way down so no one else can hear it. I've purchased three sets of these so far - two sets for my Dad's two TVs and one set for my husband and I, so that he can watch TV in bed while I read. They work and are good for the price, but the earpieces themselves are uncomfortable and the ear tips that come with the set are worthless. We use cotton to support the earpiece and don't spend the outrageous prices to replace the ear tips. These are my favorite TV and music stereo headphones. 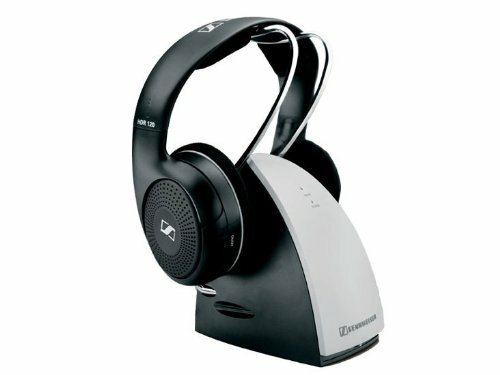 They bring you high-quality, pretty-much distortion-free 926 MHz sound throughout the house, so if you 'watch' TV or listen to music while doing chores, you won't miss a beat and you'll get good quality sound with the Sennheisers. If you walk too far away from the base, you might get some static, but if you are in the same room the sound will be great. 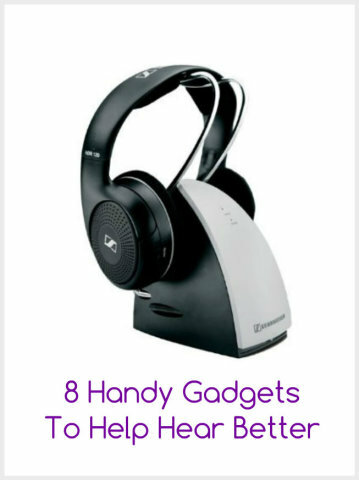 These are also great for listening to the tv or stereo without bothering the person next to you. Highly recommended! This small device is something you can take from room to room and it seamlessly amplifies the volume from the television or stereo. 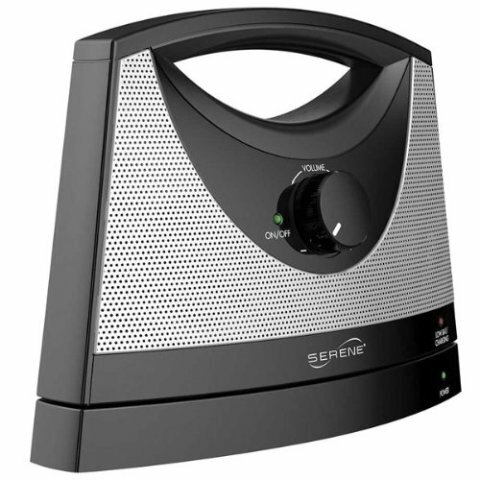 Just take your handy Soundbox with its built in handle, put it in right next to you when you are on your couch or bed and it amplifies the stereo or tv without subjecting everyone in the house to the blaring volume. It's volume control is separate from your television or stereo so you can target and control the noise level where you want it. And it also includes a private headset so you can listen in quiet. This is a terrifc and convenient product and I highly recommend it. The Ameriphone Superphone Phone Ringer amplifies your land line telephone ringer by up to 100 decibels and it works on cordless phones. Plugs into the wall jack so your phone jack plugs into it. 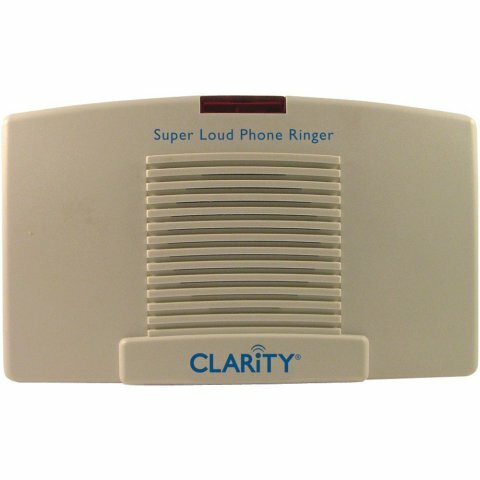 The phone ringer also has a small bright red flashing light that accompanies the ring and the ringer volume is adjustable with 4 different tones to best suit your hearing. Suppose you're listening to music or the TV while someone is ringing the doorbell? 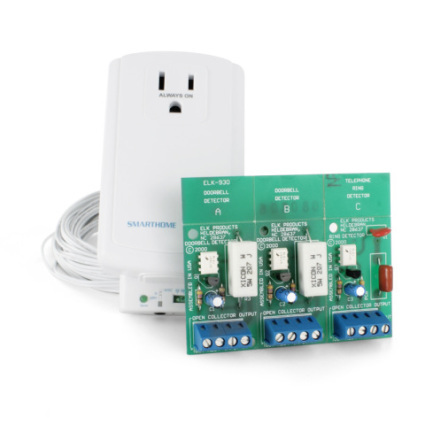 This handy Insteon Doorbell and Ring Alert Kit allows you to connect two doorbells and one land line phone to a light or set of lights that will flash on and off when they ring, so you get a visual effect as well as an auditory one. You won't miss a visitor or an important call. 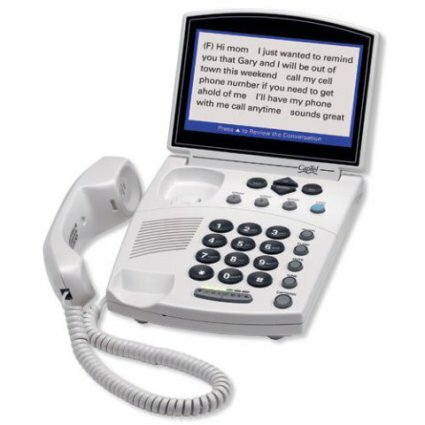 Closed captions are available on TV; why not on telephones? Sure enough, the Hamilton Cap-Tel transcribes your voice calls into written captions, making sound double-easy to hear. What you can't hear, you can fill-in with the words printed in front of you. Ingenious, huh? The Hamilton Cap-Tel also provides volume amplification. One thing I do want to emphasize is that for folks with hearing difficulties, it may be good insurance to get smoke detectors with strobe lights throughout the house. Having bright lights that flash along with the alarm can make a huge difference in the case of a fire.